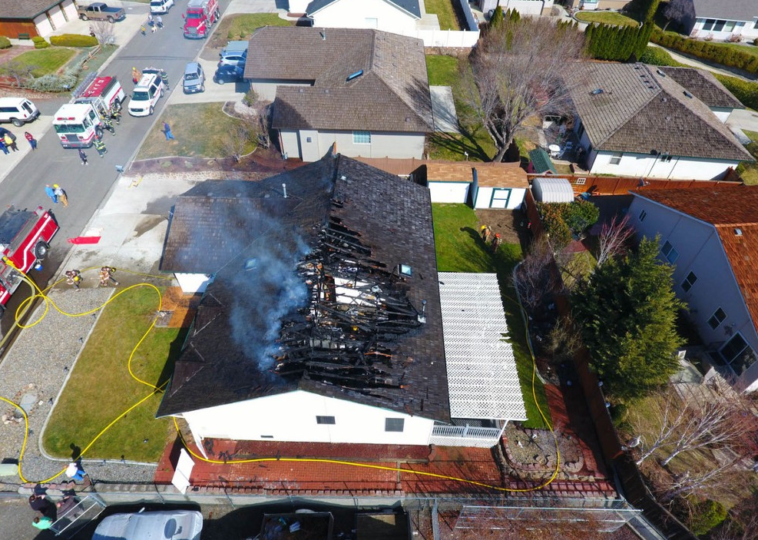 About six months ago, we bought a drone to help us cover stories at the Yakima Herald-Republic, a daily newspaper in Yakima, Washington. 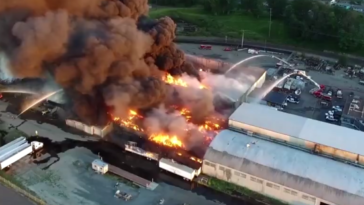 We’d seen other people’s drone footage of fires and floods and protests, and wanted to get our own. 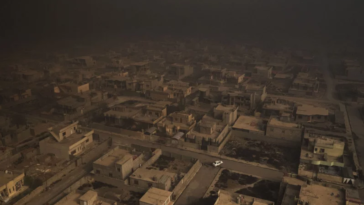 We knew that a drone had a lot of potential t0 contribute to our news coverage, but we didn’t know exactly what rules apply to journalists, and how confusing and limiting some of those rules can be. Over the past few months, I’ve learned a lot about drone laws and the FAA. I’m now an FAA-licensed remote pilot, with authorization to fly in most of the restricted airspace that surrounds my newsroom, and a waiver to fly at night for the next four years. So here’s some of what I got a lot of headaches learning and wish someone had spelled out in one place. Hopefully it will answer a lot of questions you may have about using drones at your news organization. There are plenty of other places to read up on drone specs, but DJI is the most popular brand for camera drones, and has solid options than run from several hundred to several thousand dollars. If your drone weighs more than 250 grams (it most likely will), you’ll have to register it with the FAA. You can do it online and it costs $5. As far as the FAA is concerned, there are two types of drone flights — recreational and commercial. There’s no special designation for editorial drone use. If you’re flying for any reason other than the fun of it, like to shoot photos or videos for your news organization to publish with a story, your flight counts as commercial. Commercial drone flights require a Part 107 license. Part 107 is what the FAA calls its recent rules for commercial drone operations (PDF). More on those rules later. Getting a Part 107 Remote Pilot Certificate involves taking a 60-question written test, unless you’re already a licensed regular pilot, and costs $150 dollars. Here’s a list of everywhere you can take the test (PDF). You only have to get 70 percent to pass, but it’s something you’ll definitely need to study for if you don’t have a background in aviation. My test was about a third drone-specific, a third sectional charts and airspace regulations, and a third weather. I found the FAA’s suggested study materials, Jonathan Rupprecht’s study guide, and 3DR’s practice tests covered all the bases, and best of all, they’re free. There are also plenty of courses out there that will happily take your money. It can take a couple days for your score to show up in the FAA’s system after passing the test, then you can apply for your Part 107 license online. After a background check, you’ll get a temporary certificate within a few days, and you’ll be good to fly. You should get your permanent license within the next two or three months, which is valid for two years. Other people at your news outlet or friends of yours can also fly commercially under your supervision, but if anything goes wrong during the flight, it’s on you as the licensed remote pilot in command. No flying in controlled airspace without Air Traffic Control Authorization. * See next section, this probably doesn’t mean what you think it means. Only fly during daylight. 30 minutes before sunrise and 30 minutes and after sunset is allowed. Stay less than 400 feet from the ground. Some exceptions apply, like if you’re flying beside a 100 foot building, you may be able to fly up to 400 feet above that 100 foot base. Fly within line of sight. This means you can see the drone at all times. Using binoculars or a live camera feed doesn’t count. There are also some other restrictions like no flying from a moving vehicle unless you’re in the middle of nowhere, and limits on cargo the drone can carry, but these probably don’t affect you if you’re a journalist flying for a story. A sectional chart of the Northwest U.S. This is probably the most important and most confusing part about flying your drone. There are five classes of airspace that you need to know about as a commercial drone pilot: B, C, D, E and G. The earlier in the alphabet the letter is, the higher-traffic and more restricted the airspace. This map is super helpful. 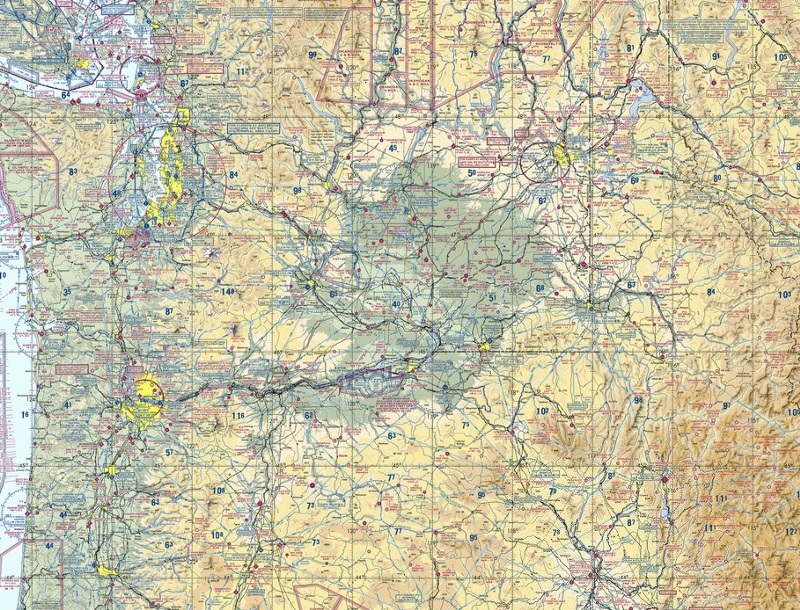 Sectional charts are the official source, but they are made for people flying planes, and aren’t always that useful for knowing whether a certain road or breaking news situation is on the right side of airspace boundaries. If you’re flying recreationally, you can fly almost anywhere as long as you call all the airports and heliports within five miles of your flight. As a Part 107 pilot, you can fly in Class G airspace even if it’s within five miles of a heliport or airport without having to make any phone calls. But there’s a downside. You can’t fly in anything other than Class G without air traffic control authorization. That authorization has to come through the FAA’s airspace authorization process online, not by calling the local airport control tower, and can take up to 90 days. I know some 107 pilots who aren’t aware of this, with local towers who don’t know the rules. A lot of people are just realizing that authorizations have to go through the FAA for commercial drone operations. If you’re thinking, “Wait, does that mean someone with no training who just ordered their drone online can fly places a commercial pilot can’t by making a few phone calls?” you’re right, and it makes no sense to me, but those are the rules. A lot of the Part 107 rules can be waived if you can convince the FAA that you understand the risks and will take sufficient steps to manage those risks. The FAA has a list of performance based standards for waivers here (PDF). The FAA used to post their granted waivers online, but stopped a few months ago. They never publicly posted airspace authorizations. The FAA says to allow up to 90 days to process a waiver or airspace authorization. The ones I’ve been granted took about 60 days, which is still 59 days, 23 hours and 59 minutes too long if you want to cover breaking news and live near an active airport. Check out where you want to fly on this airspace map. You may be surprised how open some larger cites are, or how restricted small places can be. I live in a city of about 100,000 people surrounded by farms, so the airspace should be pretty open, right? That flag is our newsroom. The big circle is Class D, purple boxes Class E.
Nope. I’m surrounded by Class D and E airspace, so a lot of flights near my newsroom could have to be planned up to 90 days in advance, and be approved though the FAA’s airspace authorization process. The key to working around this is that airspace authorizations can be valid for up to 6 months at a time. I put in an authorization request saying I fly for news coverage, which happens in unpredictable places, and would like authorization to fly in as much of the Class D and E airspace around my city as possible. I also said I would limit flights to 200 feet above ground level and maintain contact with the control tower at the local airport as needed to ensure safe operations. I got no response from the FAA for about two months. Then I got an email one morning saying my application was being processed. 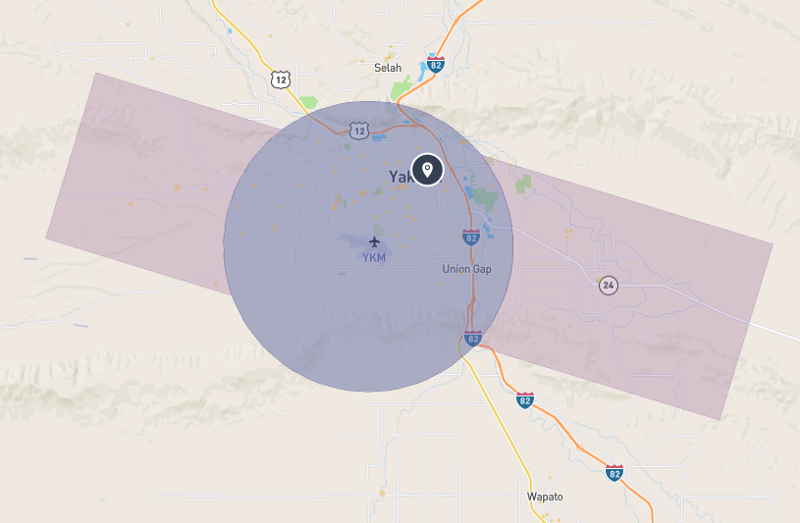 I got a call from the FAA 30 minutes later saying that I couldn’t get all of the Class D airspace, but I could get up to 100 feet in a good chunk of it, and up to 400 feet in all of the Class E around me for the next six months. My airspace now looks like this. Green is good to fly now, red still off-limits. Your mileage may vary, but try asking for six months of as much of the controlled airspace you’ll be likely to want to fly in, and your coverage options can really open up. It’s also a lot easier to renew an existing waiver than to ask for a new one. Waivers to fly at night seem to be the most common, and easiest to get. They can also be valid for up to four years. I got mine by saying I would fly with a visual observer who did some free FAA training online about vision in aviation; that my drone provided continuous telemetry data to help keep track of it; the drone would be equipped with lights that meet the FAA’s specifications; and I would only fly in areas that were lit well enough to see obstacles or I would inspect the area beforehand during daylight. Check if you have local drone ordinances. As a remote pilot, you, not your editor or news director or anyone else, are responsible for operating legally and safely. Watch for Temporary Flight Restrictions and NOTAMS. Wildfires, major league sports and national parks are off-limits. Don’t be that person who ruins it for everyone by doing something unsafe or breaking the rules. This is new territory, and rules and regulations can change quickly. The FAA is supposedly working on coming up with a more streamlined waiver and airspace authorization process. Usual rules of respecting privacy and photojournalism ethics apply. Feel free to send me an email if you have any questions or would like to chat about drones.